Manufacturer & Supplier of Roofing Accessories. Our product range also comprises of Coated Sheets, Roofing Sheets and Structures and Ventilation Systems. 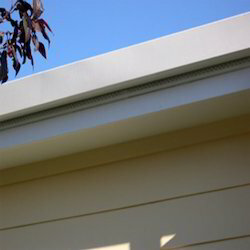 We are offering a wide range of Roof Soffit. Our offered accessories are essential to maintain the durability of an installed roof. Thus we are providing a wide range of roof vents, water barriers, ridges, shingles and many other useful products, which are available at a competitive price. We have established ourselves as reliable manufacturers and suppliers of high-quality Ridges Corners. These ridges are widely appreciated for its ability to enhance the performance and highlighting the illusion of even dimensions of roofing sheets. Our offered ridges are available at the industry leading prices for our valued clients. 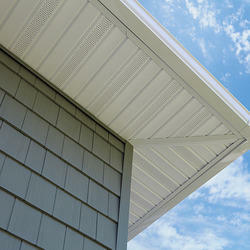 We are offering a wide range of Fascia Louvers. Keeping the design aesthetics in mind, we have created a brilliant accessory that comes with a covered opening for easy ventilation of air. Our offered louvers are crafted out of high-grade factory tested raw material, which makes them most cost effective option in the industry. Looking for Roofing Accessories ?